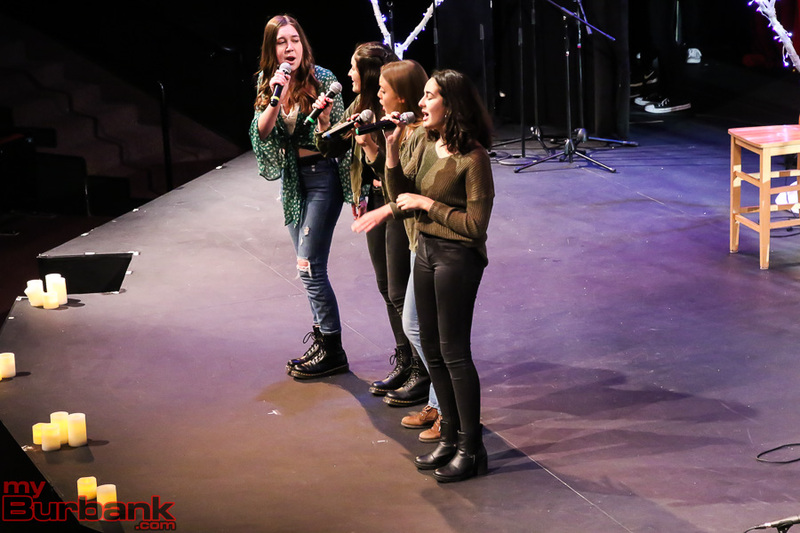 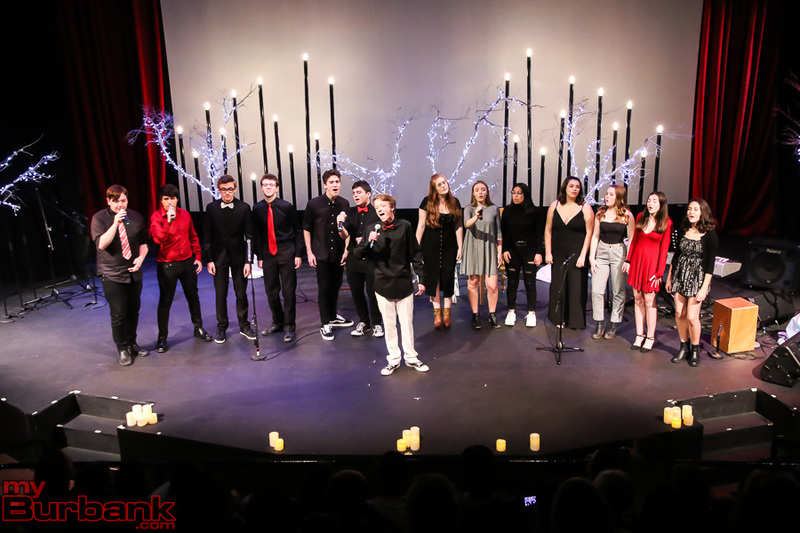 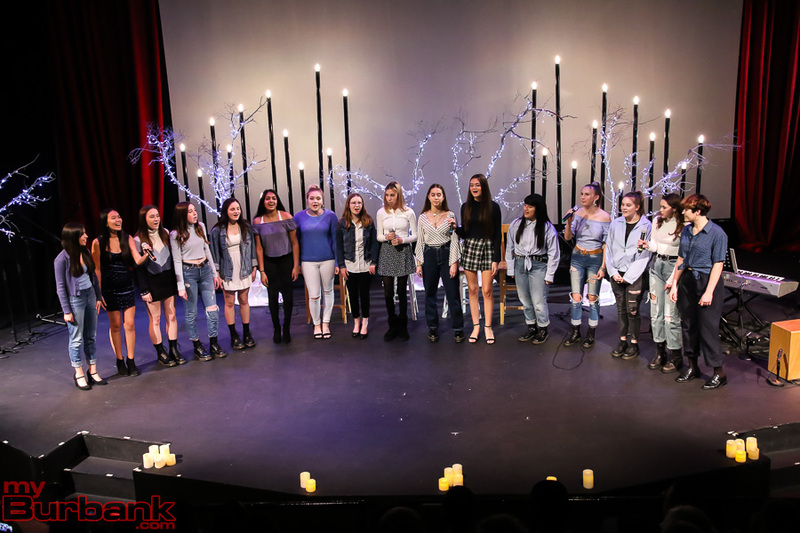 John Burroughs High School choir members gave two performances of their annual Pop Show Unplugged at The Colony Theatre on Saturday, January 12. 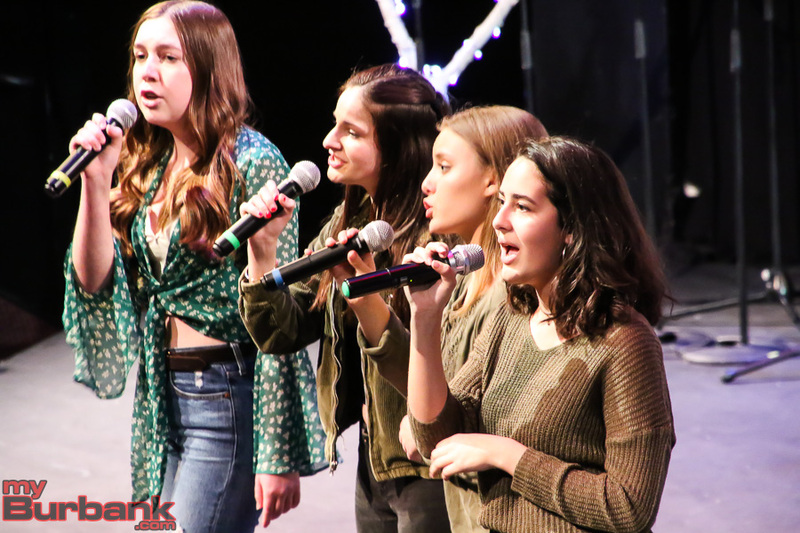 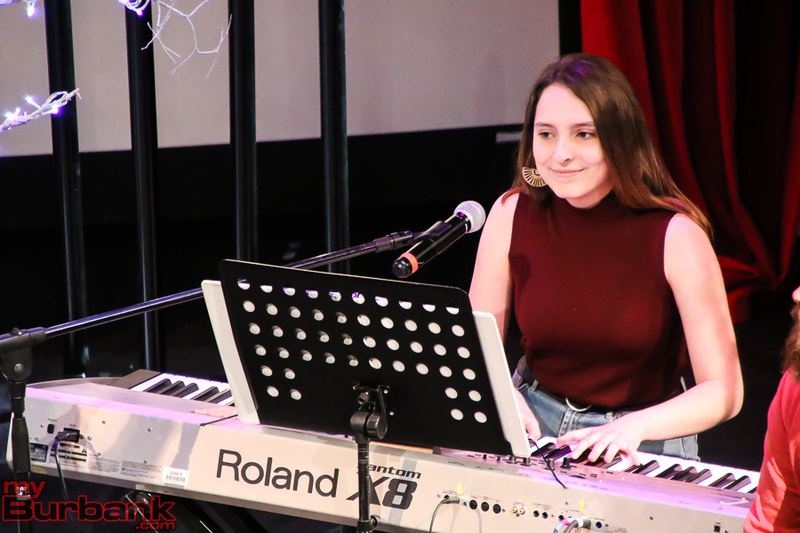 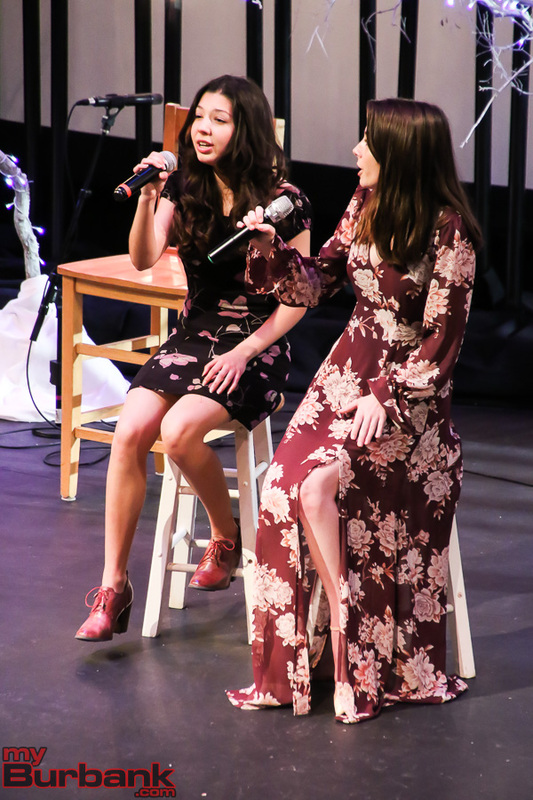 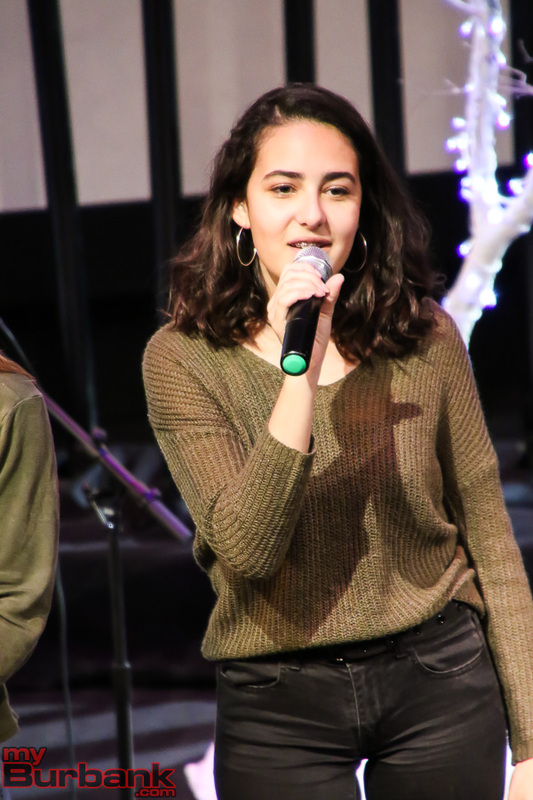 The hour-long show featured original compositions and arrangements of popular songs performed by members of the school’s Vocal Music Association in smaller ensembles and solo acts. 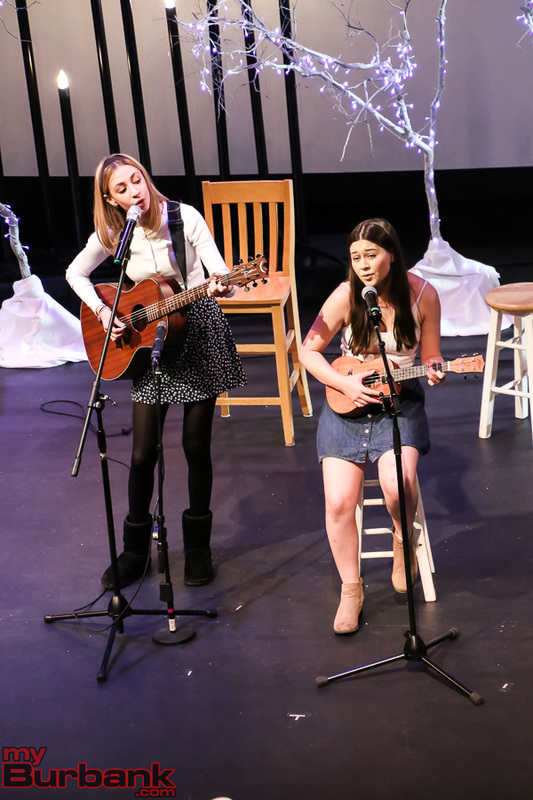 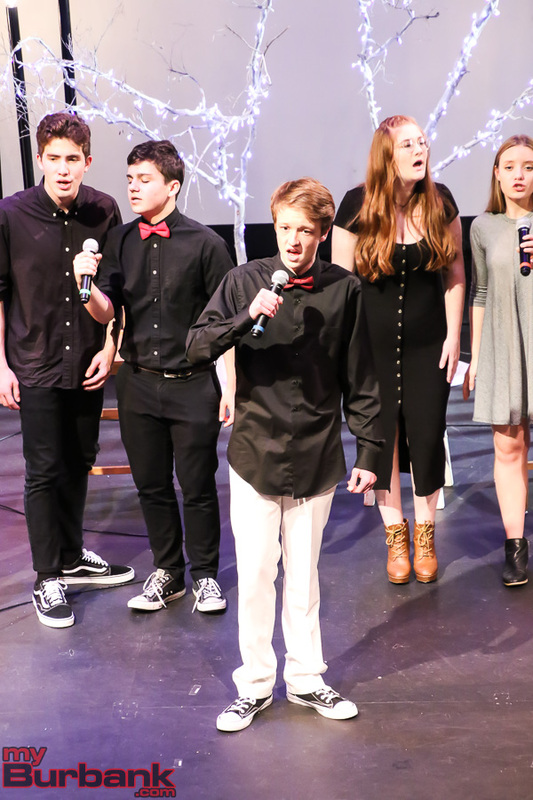 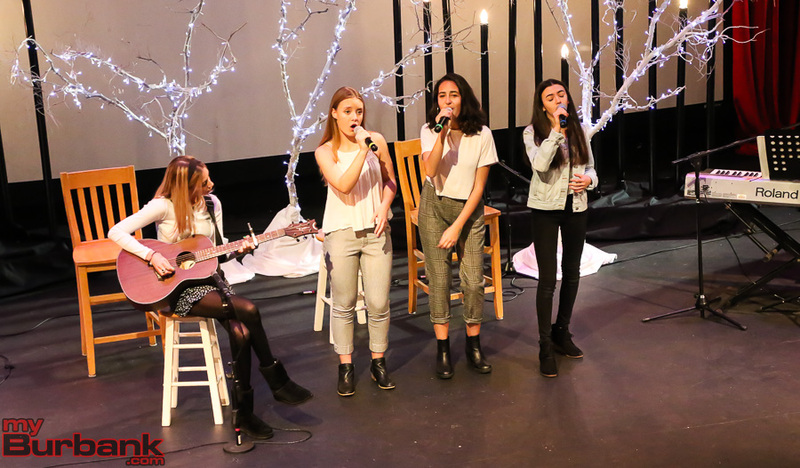 “We started this show three years ago because we noticed a trend in our students auditioning more and more acoustic, original and self-accompanied music for our annual pop show,” explained Pop Show Unplugged co-director Jen Oundjian. 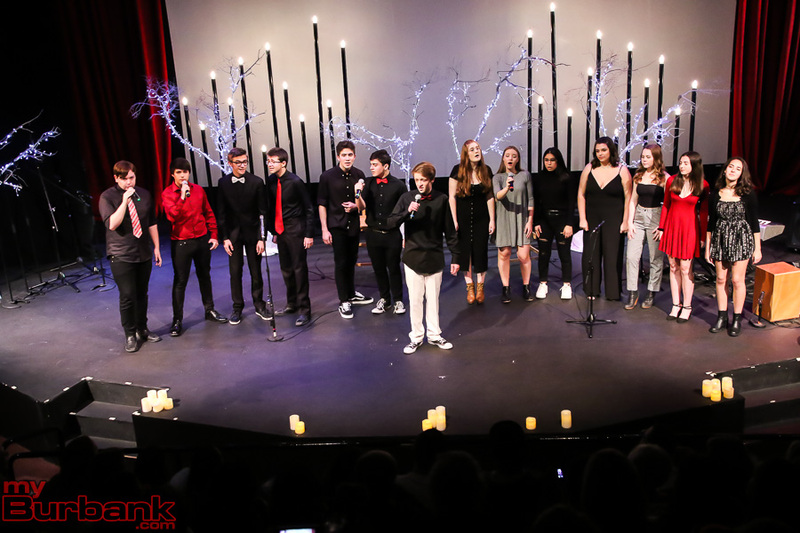 The VMA’s Muses and Vocal Ensemble a cappella groups performed a song from their competition sets. 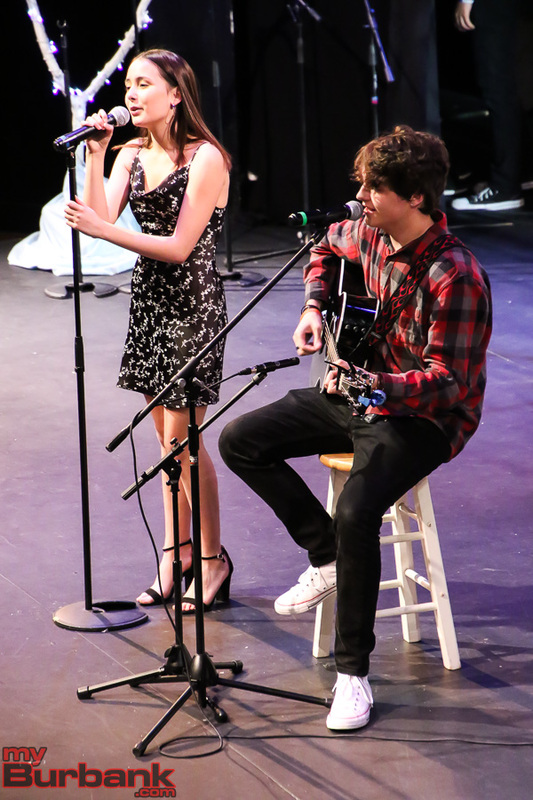 Many students also took a turn on the guitar or keyboard accompanying their fellow students. 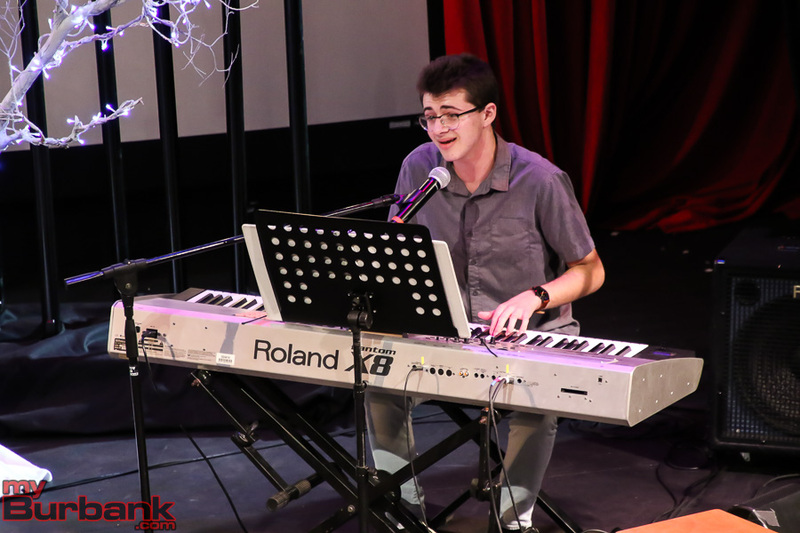 Burroughs VMA accompanist and pianist Dan Scoville performed with some of the students along with percussionist Jeremy Needleman. 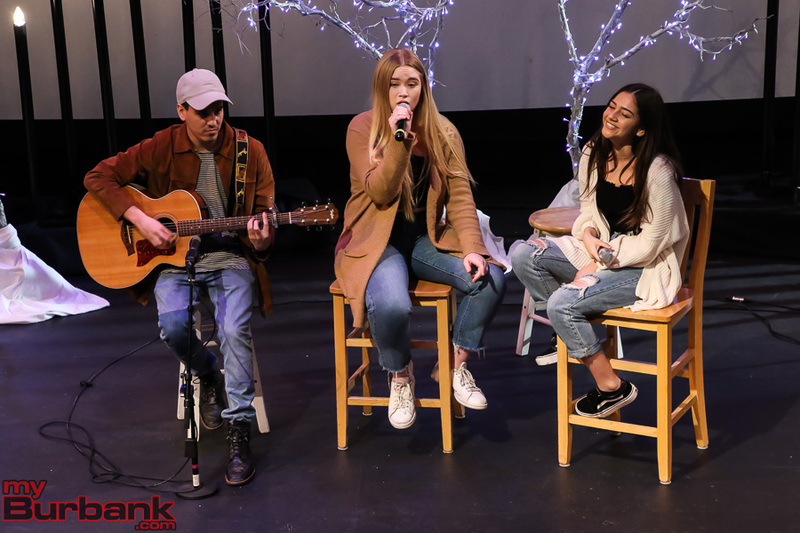 Co-director Jenna Townsend and producers Sid and Tracy Sosa also helped put on Pop Show Unplugged. 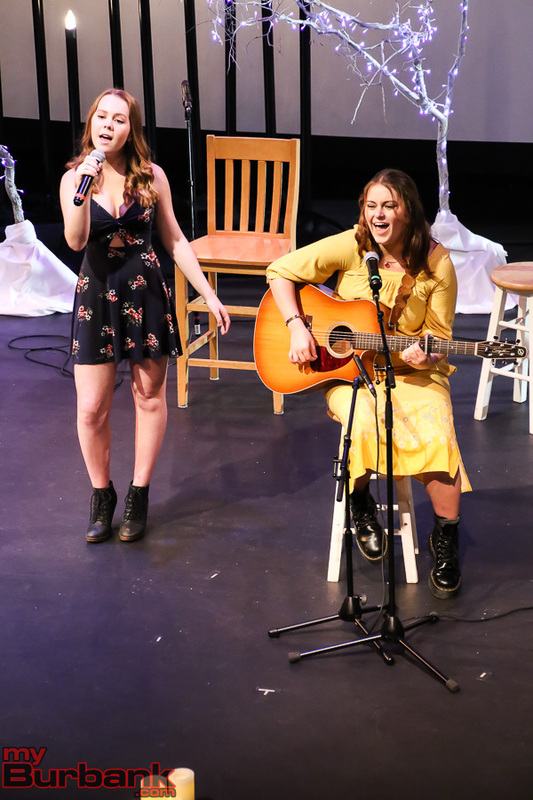 The JBHS VMA’s next big performance is Pop Show 40 “Change The World,” with four performances over three days on February 22, 23 and 24 at the school auditorium, which seats approximately 1400 people. 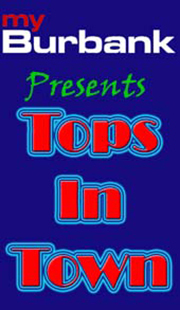 Tickets and more information on Pop Show 40 can be found here. 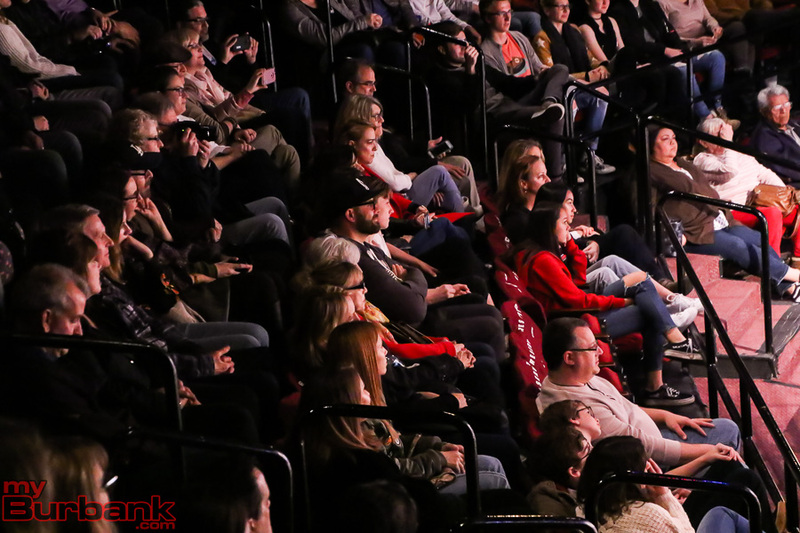 Was It Really Necessary To Go That Fast To See Jay Leno? 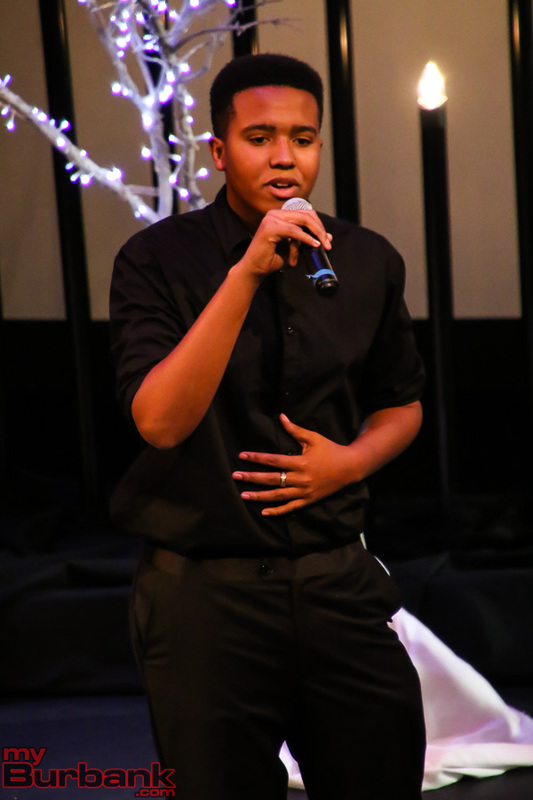 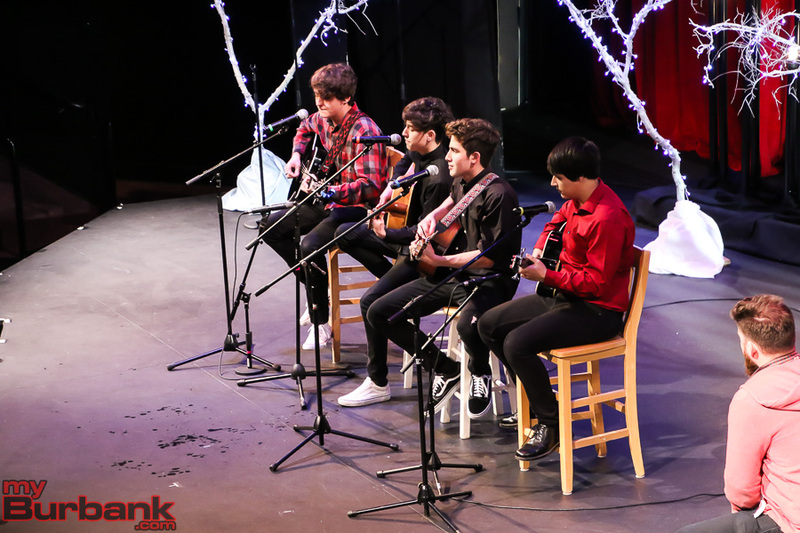 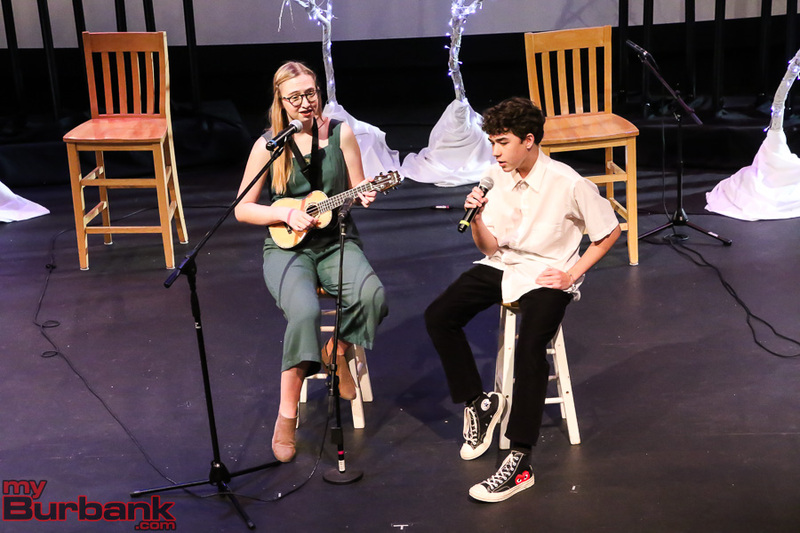 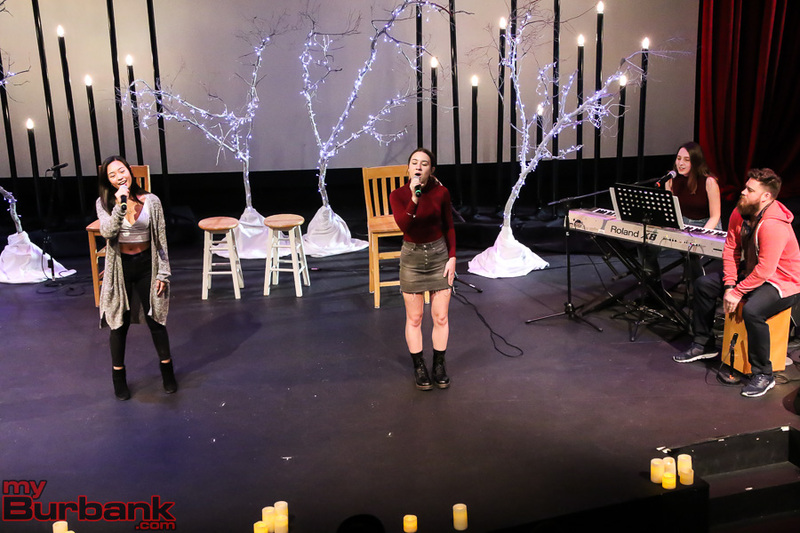 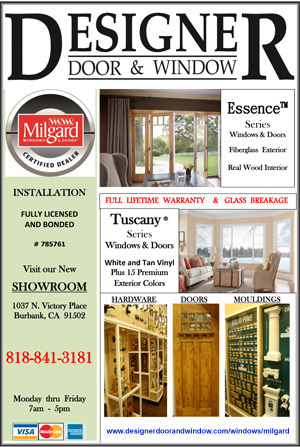 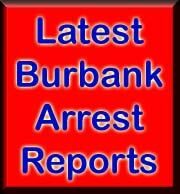 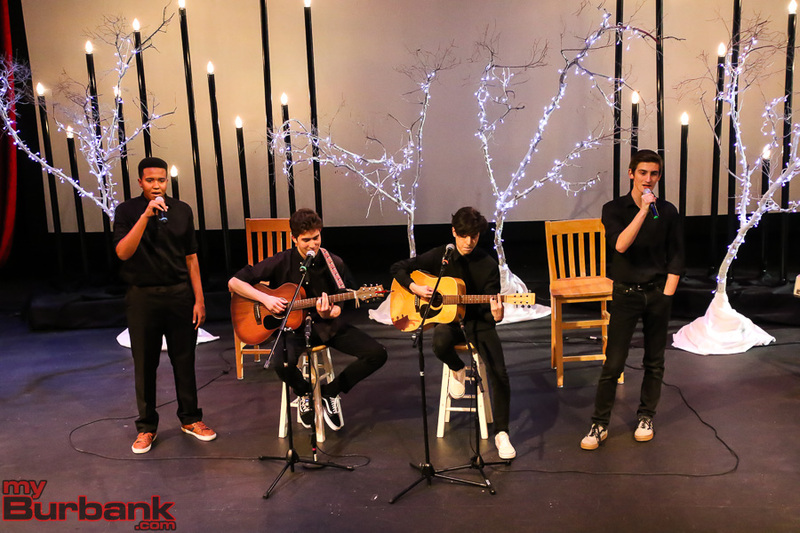 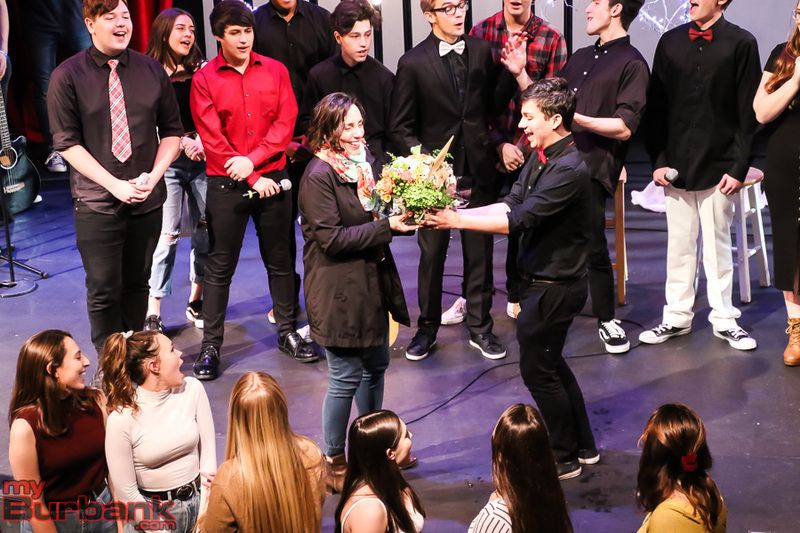 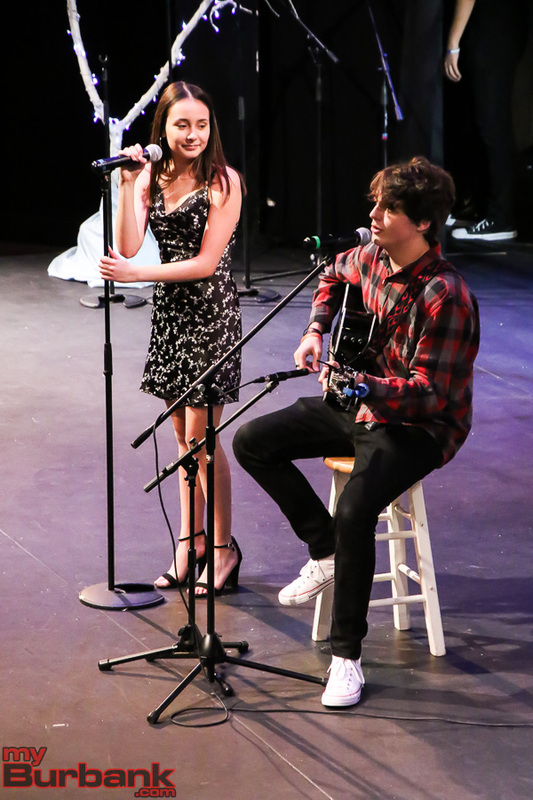 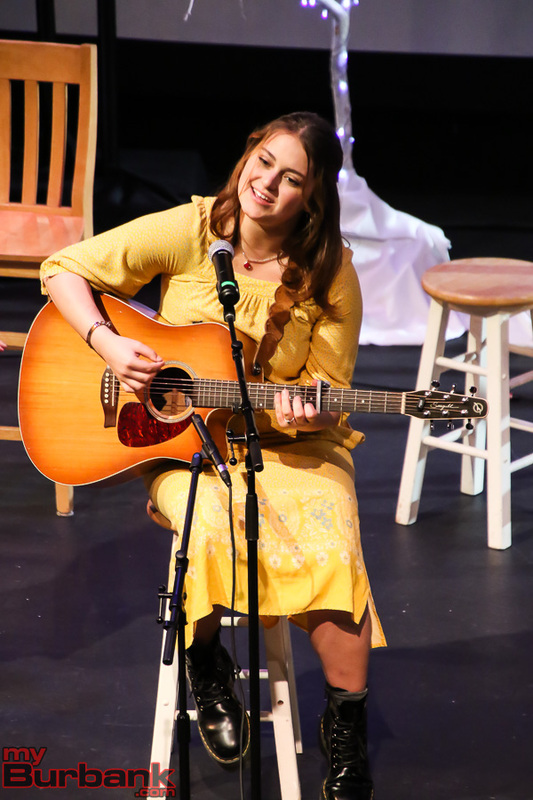 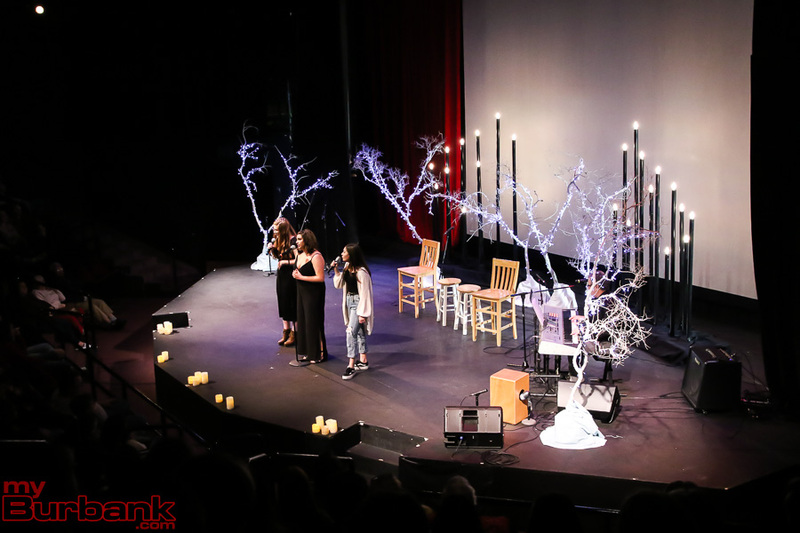 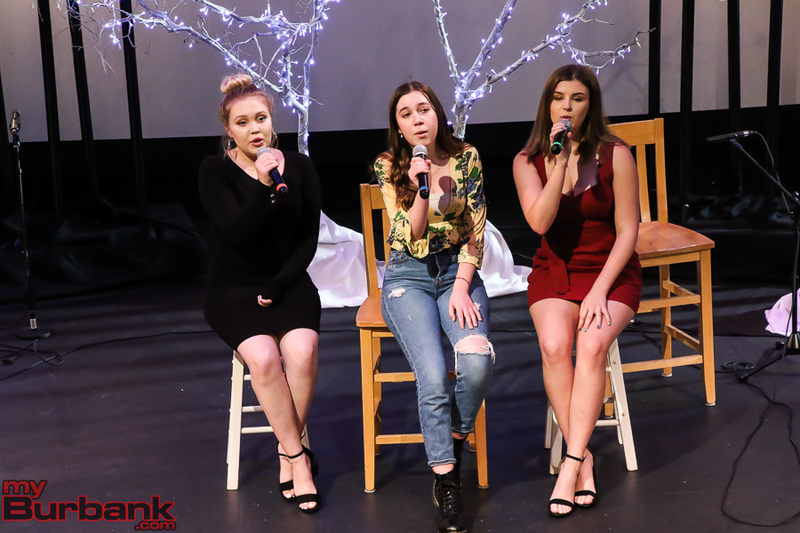 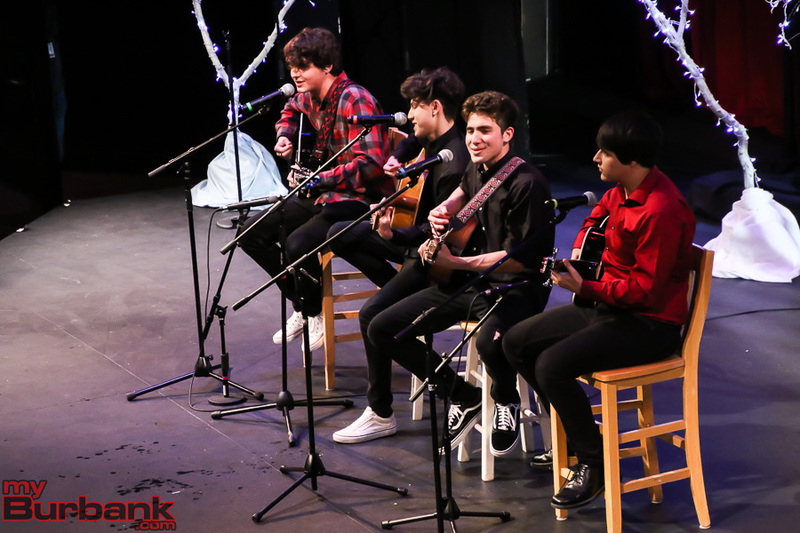 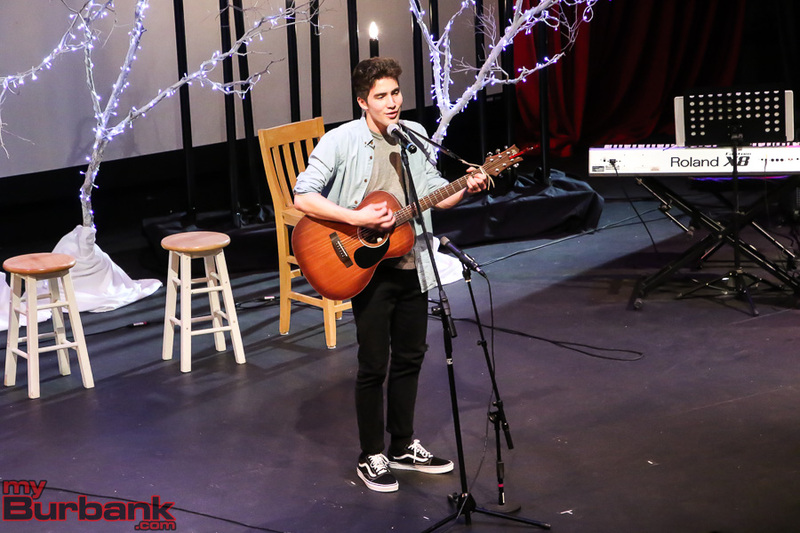 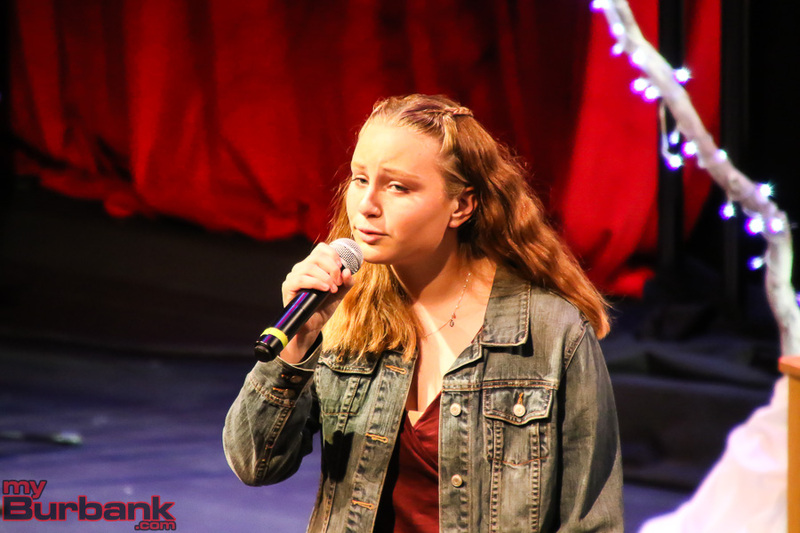 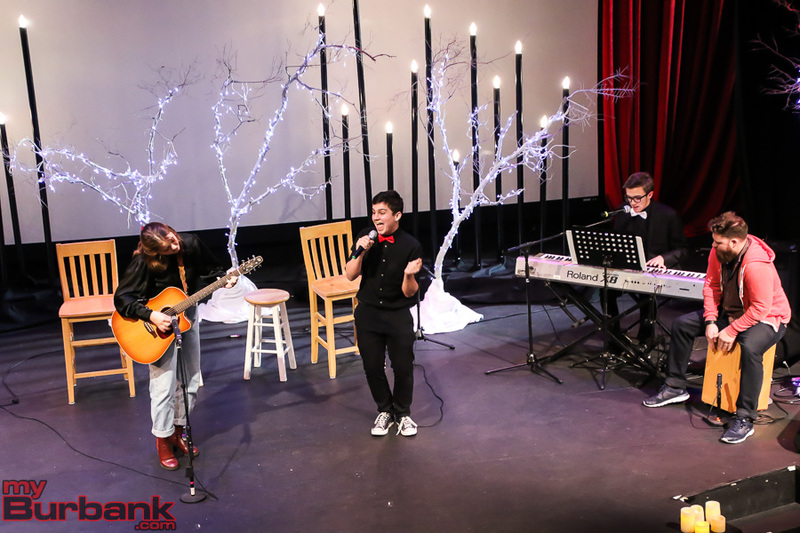 This entry was posted in News, Schools and tagged John Burroughs High School, pop show unplugged on January 23, 2019 by Lisa Paredes.